Slightly smaller than its 2005/2007 predecessor—and also slightly cheaper; not at all to be taken for granted—this new book dials the clock farther back, to the 1930s. 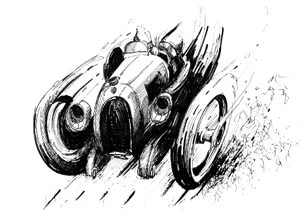 More specifically, the 1933–1939 racing years and then, interrupted by the war and its aftermath, the 1950–1962 era. If you already know the first book you can expect the same basic approach and level of detail here. This new book is volume of I of II which will be published in 2012 and cover 1963–1972 (it’ll be $89.95/£45 and 272 pages so the price needle will swing the other way). What makes these books different is that they are built around largely unknown photos. Carter, a retired insurance man, has been interested in motor racing since boyhood and grew up in a family with interesting cars. This early imprinting never faded—unlike the many snaps he and so many others took. “Snaps” may sound dismissive but is only meant to indicate that these photos were taken by amateurs for private consumption and not by professional photographers for print use. 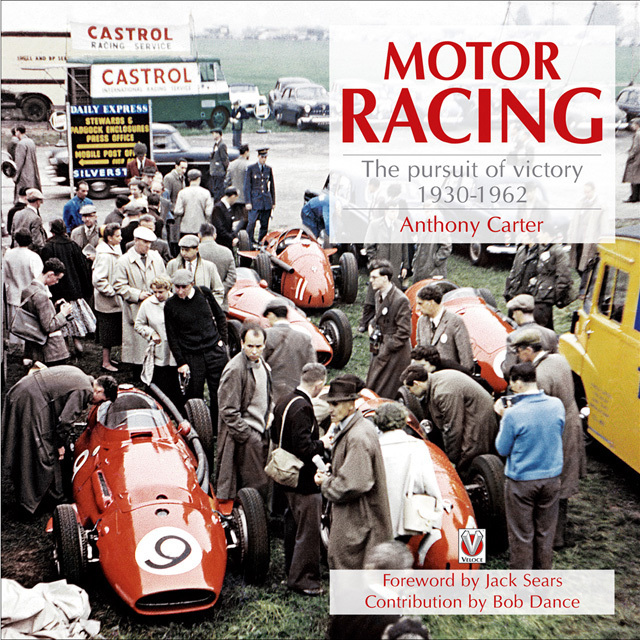 As Carter explains in both books, having film developed was an expensive proposition for a young person in the 1950s and every shot “had to count.” This new book does not feature his own photos but those of two others, also both non-professionals as far as photography is concerned, race driver Reginald Ellis Tongue (1912–1992) and mechanic Bob Dance (b. 1935). The book gives rather too little background about these two, probably on the assumption that a British audience (this being a British book covering European events) will know them. This seems a stretch especially in the case of Tongue. He was one of the better pre-WW II British drivers, mostly ERAs, before flying a Spitfire in the Battle of Britain as an RAF Volunteer Reservist and later became a test pilot at Rolls-Royce. (A good bio would be Eric Dymock’s 2002 High Speed Diary, ISBN: 0-9534142-5-6.) Dance, who was appointed Chief Mechanic for Team Lotus’ F1 team at the end of the 1967 season and has also worked for March, STP, and Brabham (and with Clark, Hill, Reutemann, Andretti, Peterson, Senna, Hakkinen and others) is still active in racing circles and at the ripe old age of 69 went to work for Chapman’s son Clive, at Classic Team Lotus, laying his hands once more on the very cars he worked on 30 and 40 years earlier. Dance’s photos in this book are from the 1950s when he was a teenager, preceding his long career in motorsports. The photo collections are each introduced by about a dozen pages of narrative that set the scene. In the case of the Tongue photos this amounts to a veritable history lesson that focuses on the incalculable propaganda aspect of the Nazi regime fielding its Auto Union and Mercedes race cars. The individual race meets are covered in chronological order, in the form of thoroughly captioned photos. This not being the book’s purpose there is no overall race commentary or statistics or the like. 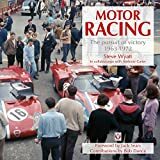 A separate chapter covers the activities of racing driver and entrepreneur Raymond Mays who co-founded ERA and BRM and in particular the ambitious 1948–1955 BRM V16 which is also the topic of the Appendix. Another stand-alone chapter covers the Lotus years during Dance’s time. Throughout the text is interspersed with quotes and commentary from various people who had some involvement with the topic and with many examples of race programs, automobilia, ads, and correspondence, a collage of which is also found on the endpapers (different in front and back). It goes, or should go without saying that the photos are fascinating not just in terms of their primary topic—racecars in various settings at rest and in anger—but also for the fashions, backgrounds, car parks, and generally “different” way of life. 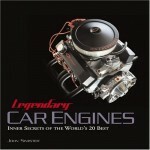 The Foreword is by former race and rally driver “Gentleman Jack” Sears who won the inaugural British Saloon Car Championship in 1958 which has no particular bearing on what this book presents other than establishing him, and of course his father Stanley, as motorsports insiders at just that time. Sources for quotes/excerpts from printed sources and a Bibliography are listed, unusually, at the front of the book and a decent Index is at its customary place in the back. In terms of racing history one photo deserves special mention: Marie Teresa de Fillipis (p. 157), F1’s first female driver. That there seems to be no shortage of heretofore unpublished images is evident in the fact that Volume II, which features some 400 photos by Steve Wyatt, was culled from over 12,000 shots! Lots more ground to cover!